LISTED AS A BEST NEW GAME IN 92 COUNTRIES! One price buys full app, no in-app purchases, no advertising. NOTE: not supported for iPod Touch (5th generation) and iPad Mini (1st Generation) Users: please do not update to this version. "Better Graphics" in the Options Menu will keep the game from crashing on lower memory devices. One hundred years from tomorrow...World War IV has started! Will you join the United Star Force to defend Earth and its colonies from the relentless attacks of the Non-Aligned Nations? Or will you assume the role of commander in the NAN, striking at our Star System to gain dominance over the most powerful military organization in history? Do you have what it takes to command an advanced space fleet in the greatest conflict humankind has ever known? 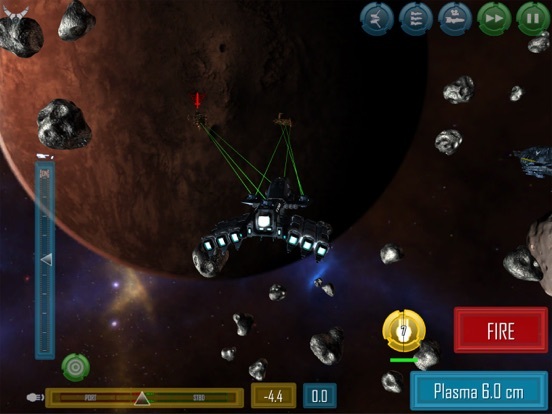 With over sixty starships with customizable weapons and defenses available to you, can you take the fight to the enemy and control the Star System? 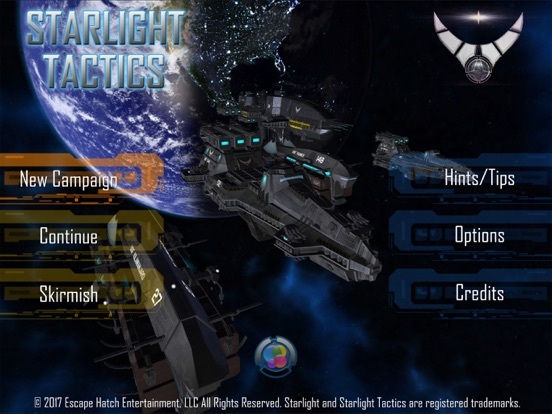 STARLIGHT TACTICS is a full 3D turn-based tactical space combat experience. PROTECT THE SKY! 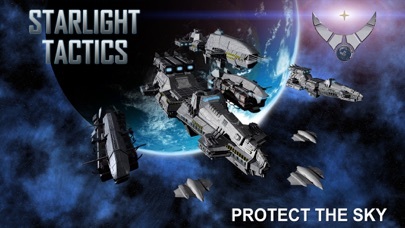 Key Features: Full 3D Turn-Based Tactical Combat Ever wanted to feel like you were really in space making strategic decisions that control the life and death of your fleet? Control the heading (yaw), pitch and roll of massive starships as you stategize your next move in a fight amongst the planets and moons of our star system. Intense Single Player USF Campaign Play through one hundred missions of two exciting and immersive single player campaigns as you fight amongst beautifully rendered planets in our star system. Freeplay Skirmish Mode Brush up on your tactical skills as you play against the AI or a human opponent (shared mouse and screen experience). You own your fleet Be careful not to scratch the paint on your space fleet! Destroyers, Stealth Ships, Littoral Combat Ships, Cruisers and Carriers all persist from mission to mission in a SpaceDock where you requisition, inspect, repair, upgrade and decommission your forces. 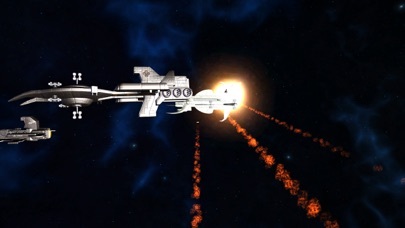 Physics come into play Ships are hit by weapons and go into a roll. 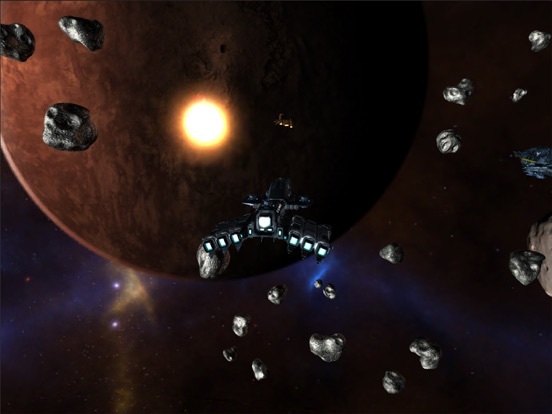 Plasma weapons impact asteroids and send them hurling off toward enemy ships. 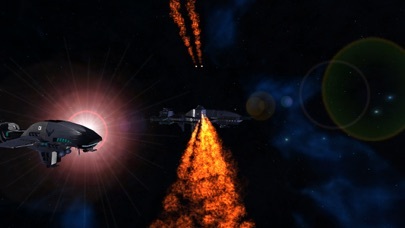 Ships can ram each other and cause catastrophic damage. Soundtrack by David Arkenstone David Arkenstone, three time Grammy nominee and composer of music for World of Warcraft: Cataclysm brings his sensational talent to bear on Starlight Tactics, with musical themes to accompany every battle. Quotes from Beta Testers: "In terms of turn based tactics this is very unique. This is the first one of its kind to use 3 dimensions that I know of for movement and placement, and it works and functions very well. 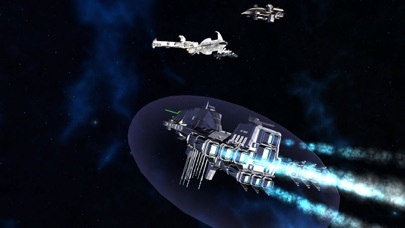 In fact this is the only true 3d strategy space game that I can think of since Homeworld movement-wise." "The details are great, especially with the battle. Keep up the good work!" "I ABSOLUTELY LOVE that I can ram, and/or fire upon my fellow ship(s) if I am not careful." "The concept of the game is great." 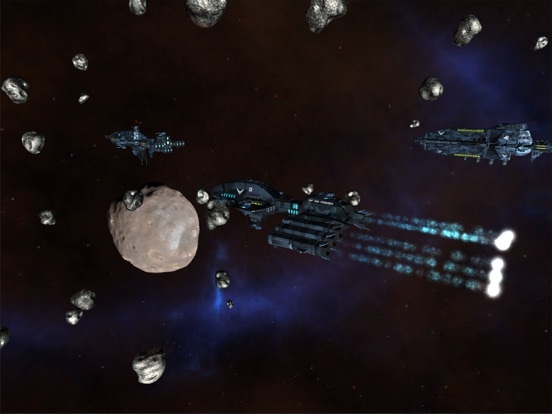 "Saw you guys at PAX...lots of cool details and a great simulation of 3D space combat." I'm liking this. Fixed screen, does not rotate when I rotate my air, which is annoying but not a big deal. It actually is what I thought Sid's starship game was going to be in regards to combat, but this is much better combat than that. 3d space fighting. Controls take a minute but they are good once you understand. So far missions are combat only, some story but the 4 missions I played were my ships vs 2-3 others. No planet mangemeant or anything. You purchase your fleet with points won by playing. Upgrades for weapons, hull, different weapon types etc... Combat is really tactical, turn based..choose to move how and where first, or choose not to move, or stealth etc..then choose weapon angle and attempt to line up a shot on the enemy. 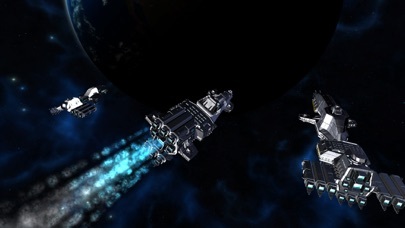 Graphics are really nice, ships look real cool, can zoom and view your shots and position. Lots of ship types, I can customize upgrades and some load out but not the look of the ships, at least not yet Very early into it, but enjoying. Same developer, I am afraid. Anyone else has some review to offer? Same decs as Starlight Inception which I foolishly got for Vita. They've apparently worked hard at this one. May wait for more feedback before pulling the trigger. I beta tested it. It's pretty fun and challenging. It also has positive reviews on Steam. It's a multiplatform game. I was very excited for the release. The developers are really great to work with. I enjoyed beta testing with them. They listened to feedback and really put a lot of effort into making it a great game. The turn based tactics really take a lot of thinking to make the right move. Having to manage your ship in all three dimensions. If there was ever an accurate tactical simulator of capital ship combat in space, this one is really close(I'm a Physicist, scientific accuracy is important to me haha). Give it a shot. It's not exactly expensive, 3.99 nets you at least fifty campaign missions. This looks like it could be good, but all the videos on YouTube seem to show campaigns where you start in line of sight of enemy, and nothing different - just empty space and easy you shoot, they shoot, repeat, repeat. IDoes anyone know if there any tactical nature to the terrain? I noticed this as well. Only 6 missions in, there are some asteroids which will hit enemies or you if they are shot, but all battles have started in a line right next to enemy so far, it does seem like I am chasing the enemy though at this point in the campaign so it may change deeper in. Looking at steam reviews, that's all there is If Dev is here, that rules me out unless something interesting happens in an update. Not terribly impressed so far. Probably deleting it soon. Basically everything starts with you on the same x and y axis as the enemy, and not terribly far away, so in range for pretty much everything. Same heading as well. Not much maneuvering, just try and hit them hard and early. The mechanics are fantastic... but the ships need to be harder to kill and there needs to be a good variation in mission types, positions, etc. Mechanics fit nicely into the Honor Harrington sort of capital ship movement, but you start way to close, and with little opportunity for real positioning. Basically. He who has the biggest gun. Wins. Sadly its put me off dropping any cash on any of their other games without seeing a review first. Did the update fix the orientation issue? When I got the game few days ago, it didn't auto-rotate thus making the playing with my covered iPad uncomfortable. Same developer, different game. This game is also on Steam as a PC game and has gotten pretty good reviews. So give people a chance, and don't always prejudge based upon prior efforts. Mechanics fit nicely into the Honor Harrington sort of capital ship movement, but you start way to close, and with little opportunity for real positioning. Basically. He who has the biggest gun. Wins..
Actually, that's even close to being true. Manuevering and positioning is very important in order to bring as many guns to bear on your opponent each turn. Given the ability to add shields, armor and cloaking, along with EMP weapons, it is also not true that the biggest guns always win. Early on it may seem that way but as you are able to upgrade your ships differerent tactical options present themselves.